Our guided tours led by knowledgeable and certified specialists provide travelers with a half or full day of in-depth discovery. These excursions provide a window into local life as we explore city centres, meet families in rural villages, mingle with town-folk and uncover cultural habits. We reveal the rich histories and enigmatic landscapes of Asia, utilizing various ‘local’ types of transport to create a truly authentic experience. We ensure every visitor is immersed in the destinations cultural traditions, taking part in ancient rituals whenever the opportunity arises. These half and full day options can be added to any itinerary, allowing you to essentially tailor-make your own holiday – adding those options which appeal to you most. Visit three of the most unusual Buddhist temples in Bangkok, starting with the Wat Traimit. Located at Chinatown, in Yaowarat Road, Wat Traimit contains the largest golden Buddha in the world at nearly five meters high and five tons and a half. 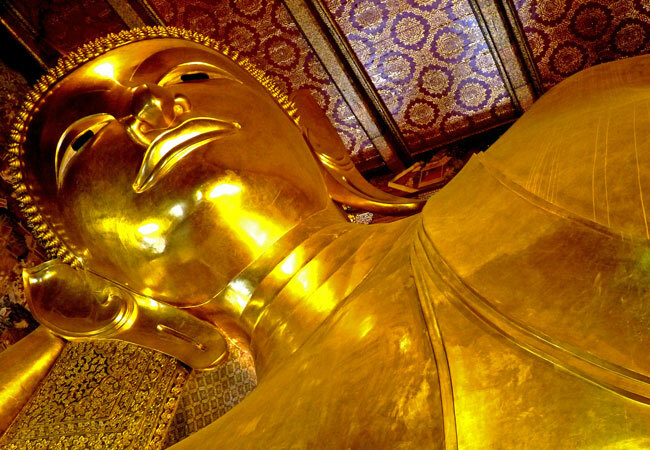 The tour continues to Wat Pho, home to the enormous reclining Buddha at 46 meters long and covered in gold, complete with Chedis of the Kings. Then visit the Grand Palace, undoubtedly the most famous monument of the city. In the afternoon we enjoy a unique experience practicing meditation for 2 hours, guided by a monk in a Buddhist monastery. To return to our hotel we take a number of exciting public transport types. Discover Hoa Lu, the ancient capital of Vietnam during the Dinh and Le dynasty. Vibrant green rice fields dotted with limestone outcrops impress every visitor to the area. 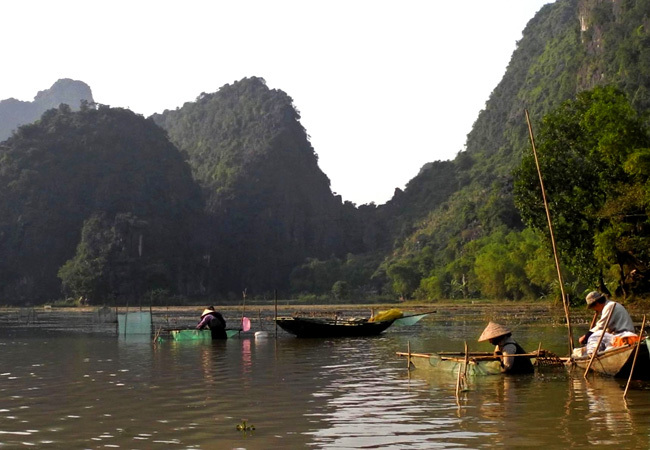 Enjoy a leisurely ninety minute sampan cruise through the caves of Tam Coc, Vietnam’s rural countryside region. Departing Hanoi at 8.00am, our first stop is at Hoa Lu, aformer capital of Vietnam. Here we see the ruins of the former capital before the legendary Ly Thai To moved the Imperial city to Hanoi. In the late morning we depart for Tam Coc town for a delicious Vietnamese lunch. After lunch, we take a traditional sampan through beautiful rice paddy scenery and visit the three famous grottoes: Hang Ca, Hang Giua and Hang Cuoi. Drive back to Hanoi in the late afternoon. 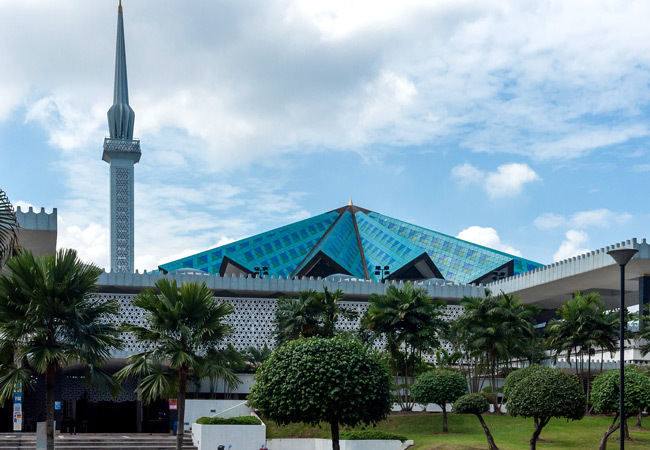 This spectacular city tour in Malaysia takes you on a drive through the Lake Gardens before stopping to explore the National Mosque and Independence Square. From there we then embark on a short walk to the bustling Central Market, passing where the Gombak and Klang River join together. This lies adjacent to Masjid Jamek, one of the first buildings to be built in the city of Kuala Lumpur. We then take a stroll through Chinatown and board the bus to Kampung Baru, a typical Malay area where most houses are still built according to traditional local style. The journey continues toward KLCC for a great photo shoot of the amazing Petronas Towers. 180 Trieu Viet Vuong St.